Birmingham, AL has become one of the top culinary cities in the South. Once a well-kept secret, with limited steak houses, Birmingham is now a host to a thriving dining scene. However, some of the city’s best kept dining secrets are ones that have been around for generations. 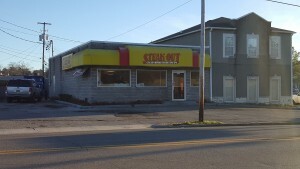 Steak-Out Birmingham, one of these hidden gems, is nestled into the corner of 28th Ave. S. and Crescent Linden. The restaurant has a small seating area, but is better known for its sizzling hot delivery service. Choose from an array of quality steak cuts, for which the restaurant is named, or other grilled favorites like chicken and shrimp. Call or place your order online and Steak-Out Birmingham will deliver a hot, fresh meal directly to your door.